The title is a line stolen from "Violet and Jeffrey Lee", another morose ballad of loss and remorse from one of Canada's best acts, The Sadies. I just so happened to be listening to that song the other day as I was driving around with the kids in the back seat hoping that for the love of all things holy that they might just fall asleep, when it dawned on me that my brothers next beer festival was just around the corner. September came and went so quickly and now we're already half way through October. Dang, where does the time go? 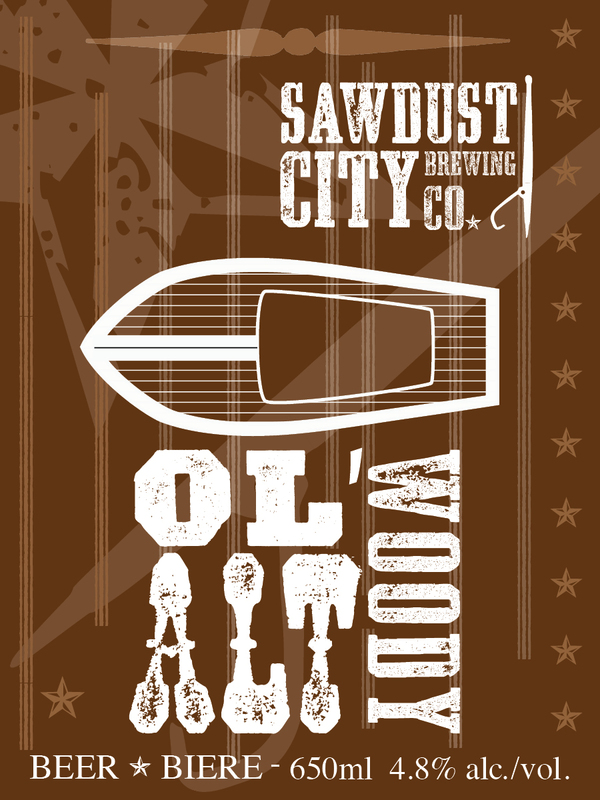 Either which, the Hastings Beer Festival is this weekend and Sawdust City is sending a keg of our Ol' Woody Alt towards Hastings Town. Unfortunately we can't be there (really, the whole company is just the two of us at the moment) but the good folks at Spearhead are kindly letting us squeeze onto one of their taps, so kudos too them for the good sportsmanship! 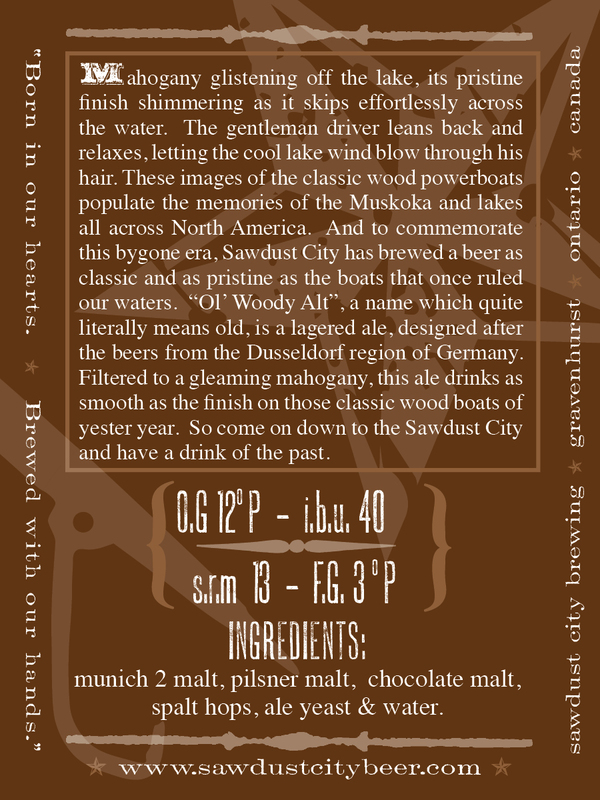 For those of you who haven't had a chance to try the Ol'Woody Alt, (which would just about about be all of you as we haven't released it yet), this is Sawdust City's take on an old German favourite. Good and bitter, this lagered ale designed after the beers from the city of Dusseldorf in Germany's Rheinland, comes in at about 40 IBU's, but it's balanced with a rich blend of German Dark Munich and Pilsner Malts to give it an easy drinking body. This is most definitely our session ale. But like all our beers at this point, there are still going to be some tweeks and touches to the recipe before we officially open next year. It's close to the final version, but we want to get it perfect before we kick open our doors. So if you happen to try Ol' Woody Alt this weekend, let me know your thoughts, we'd really appreciate the feed back.